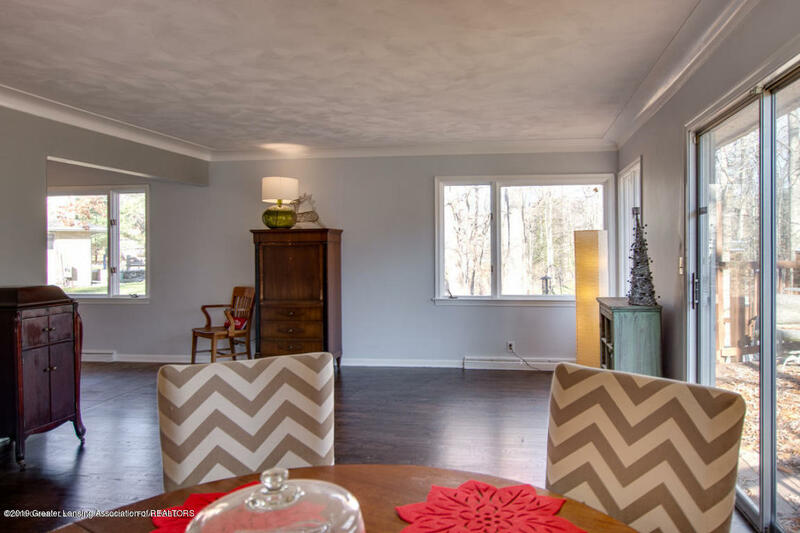 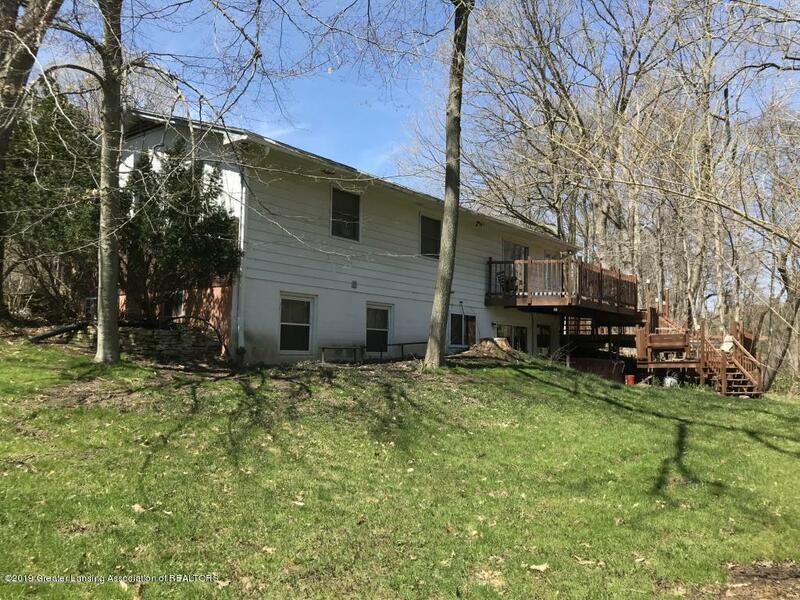 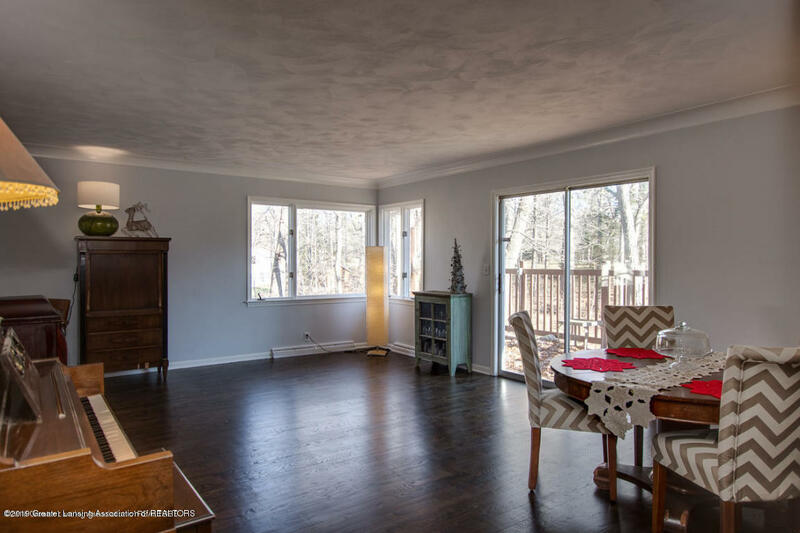 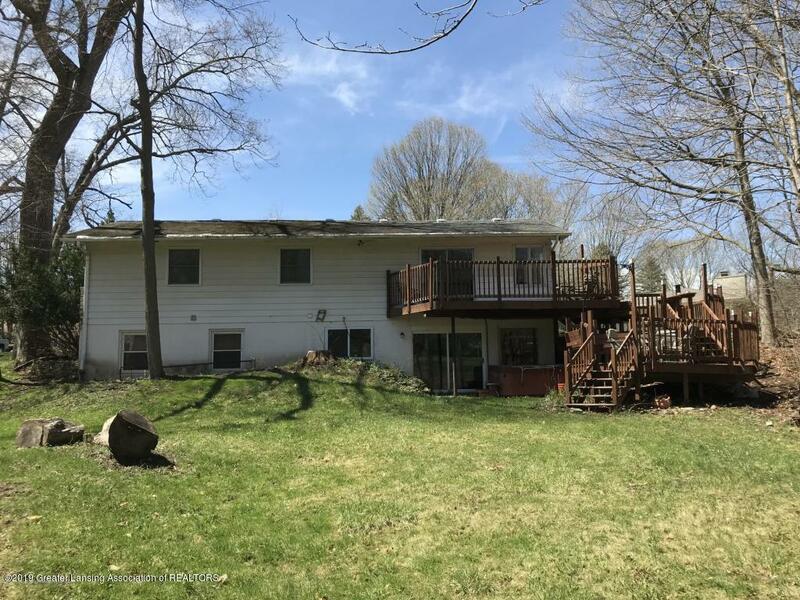 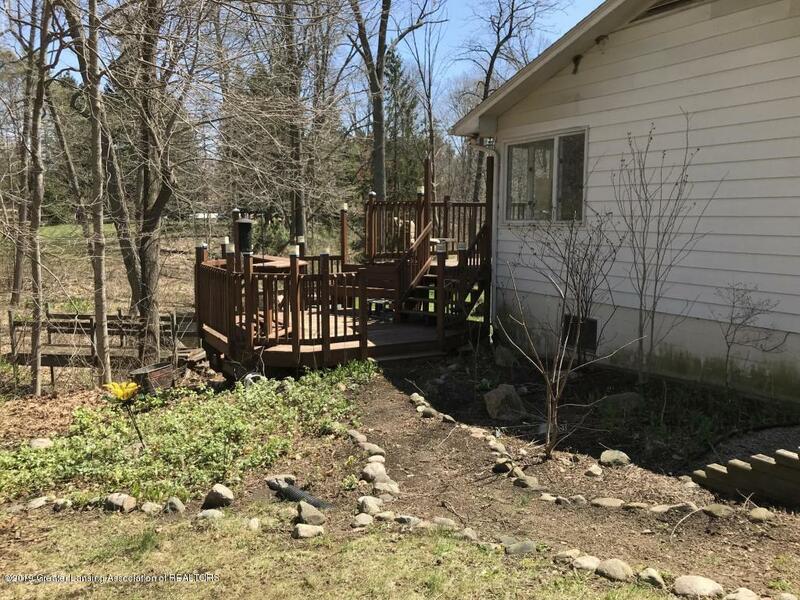 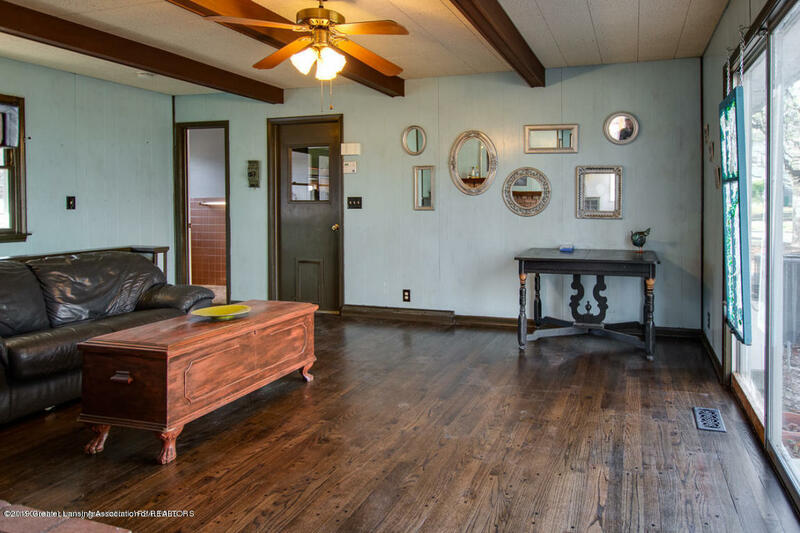 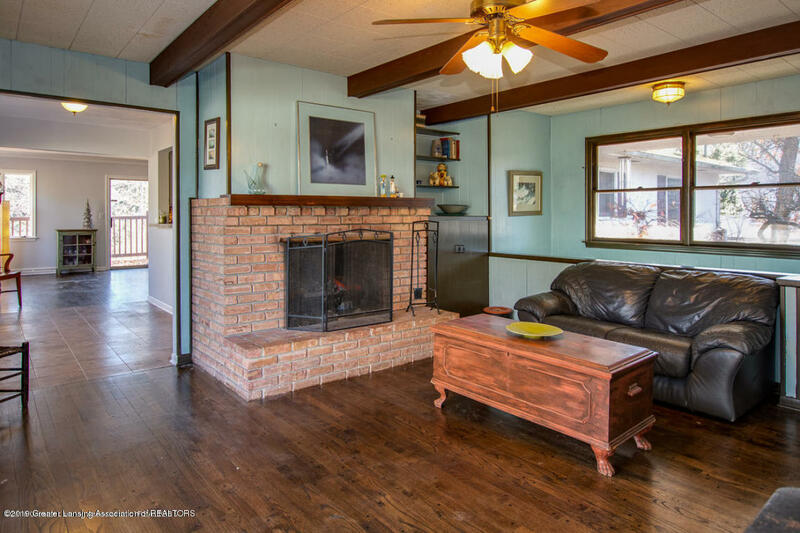 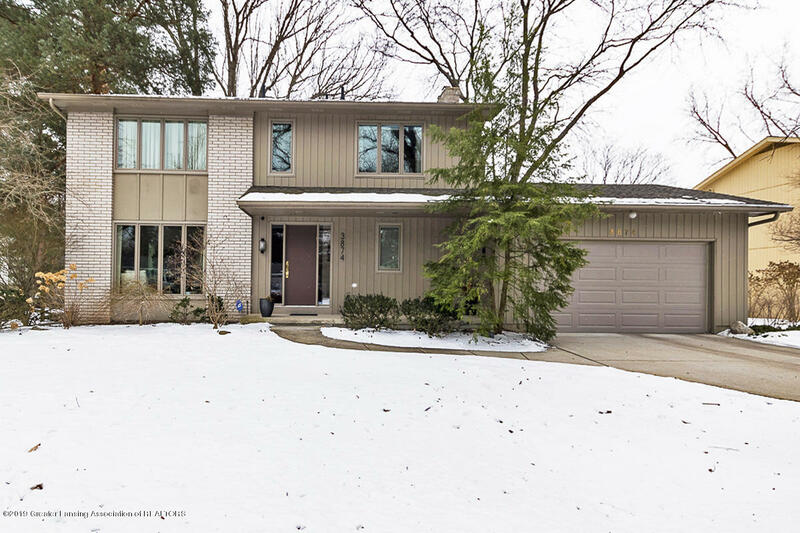 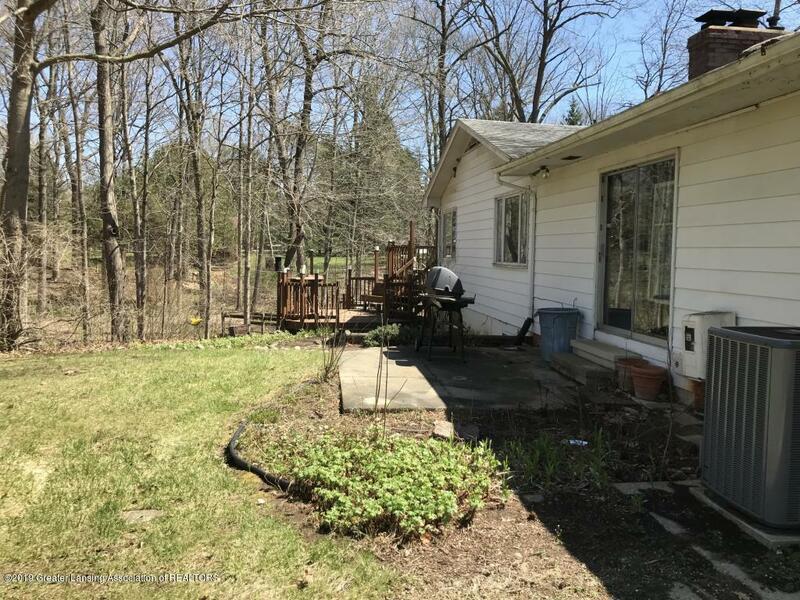 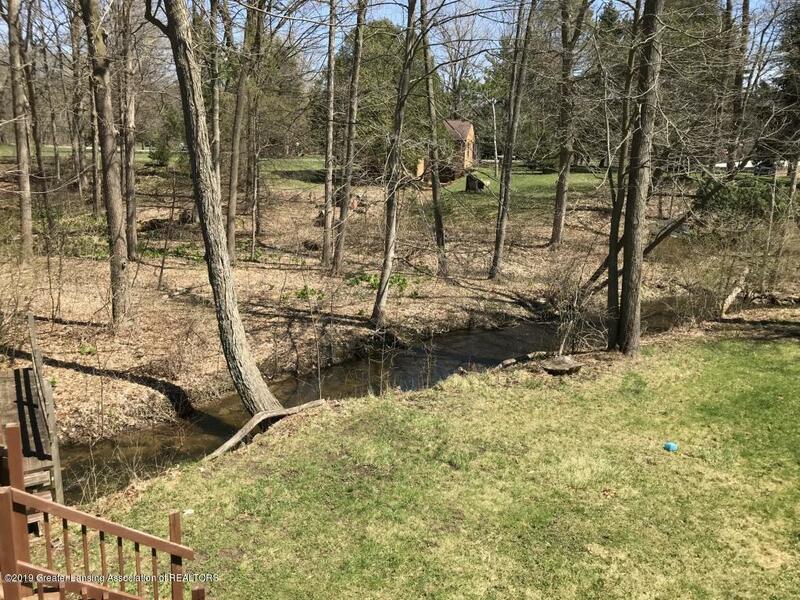 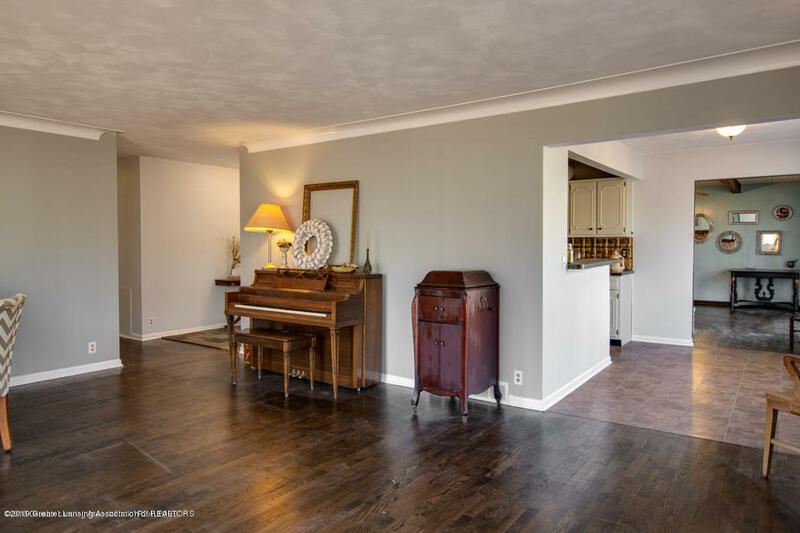 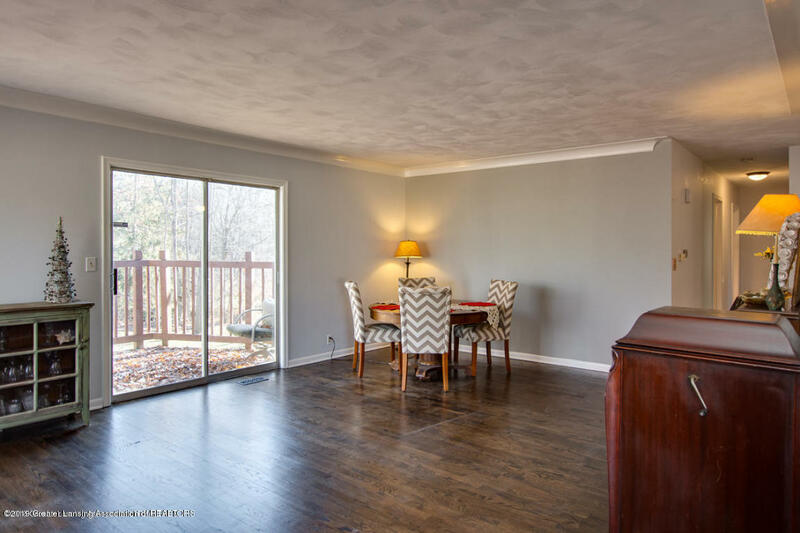 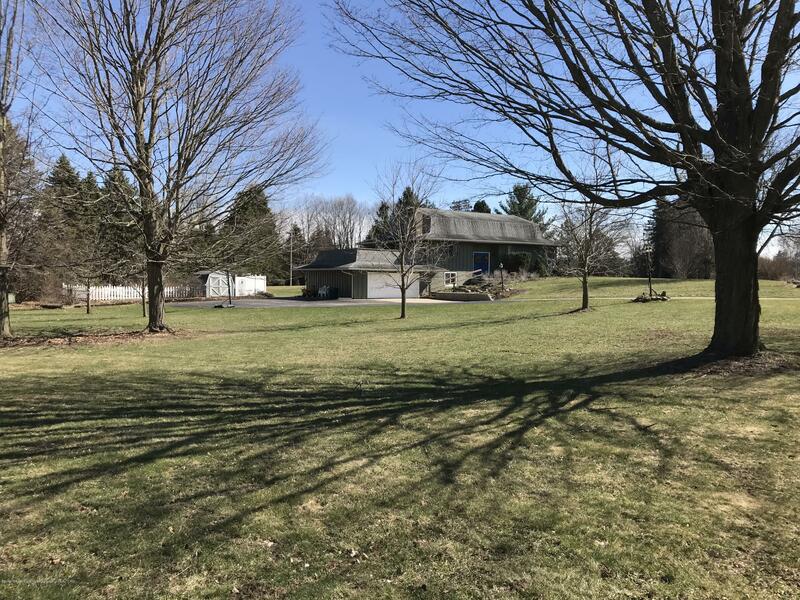 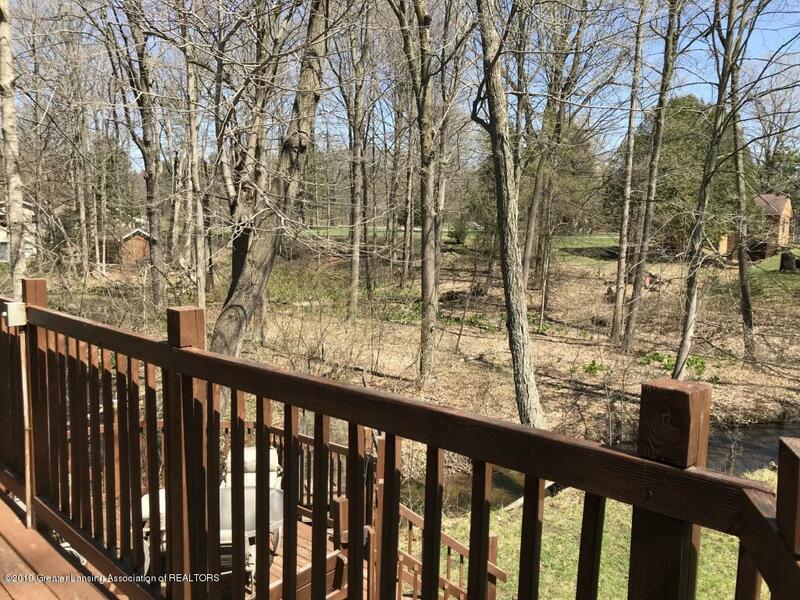 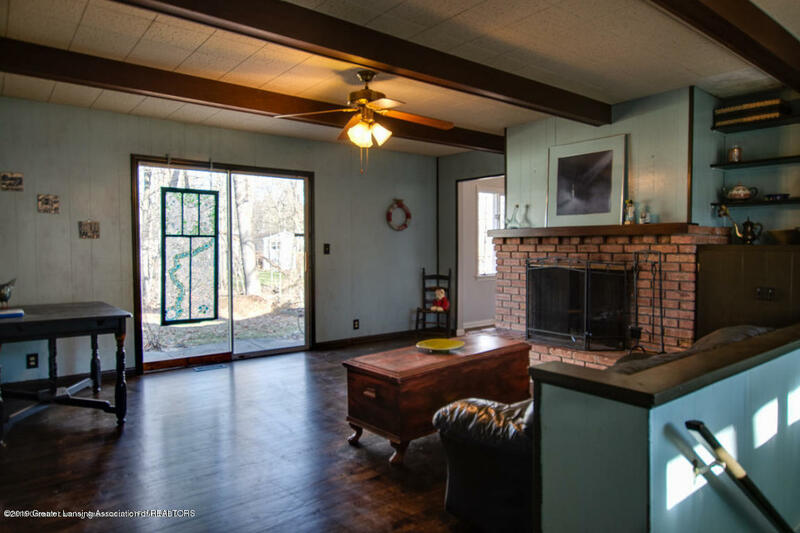 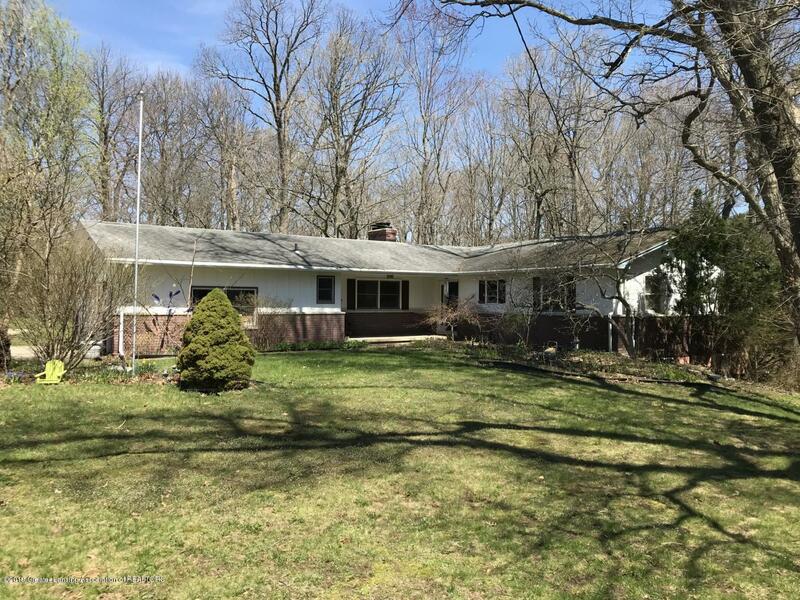 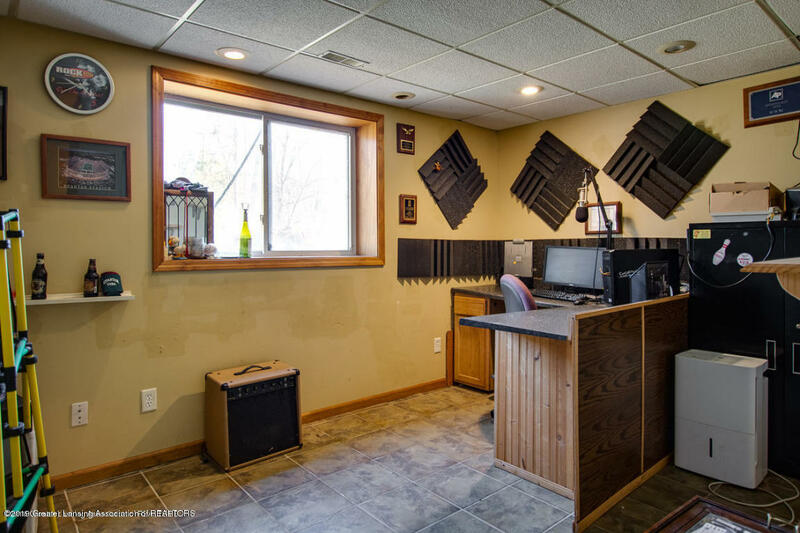 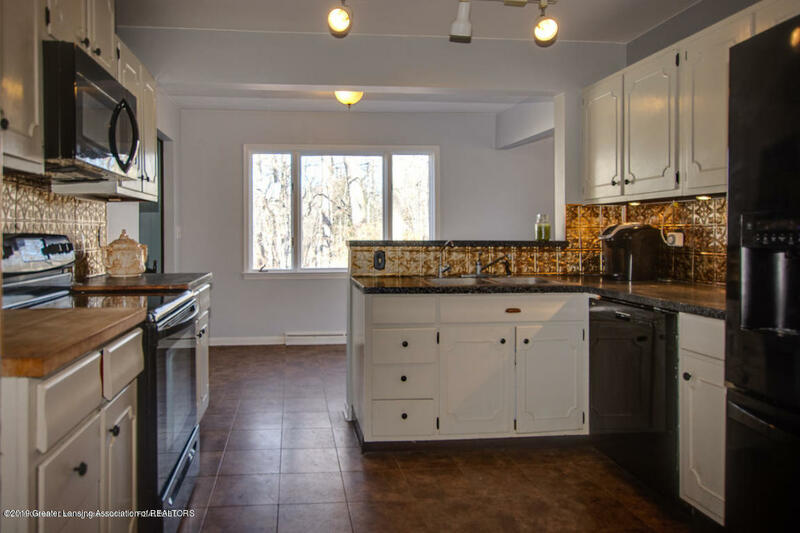 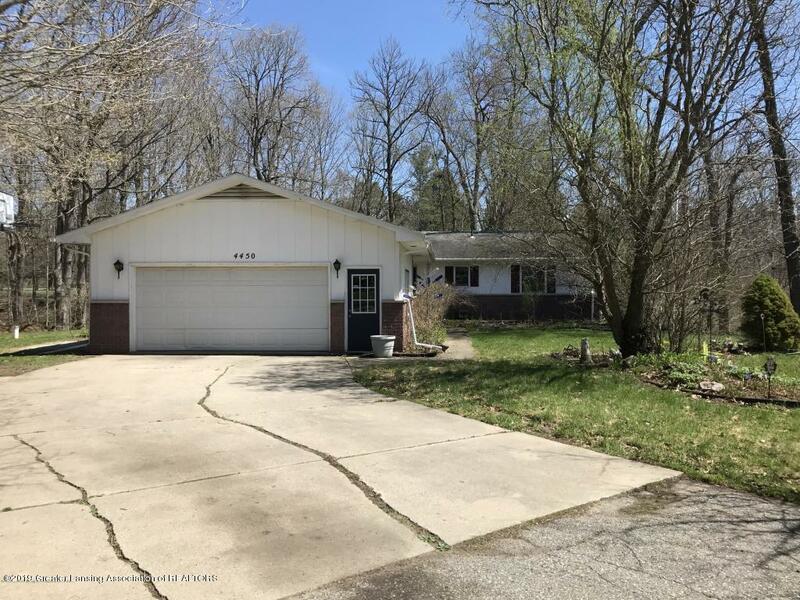 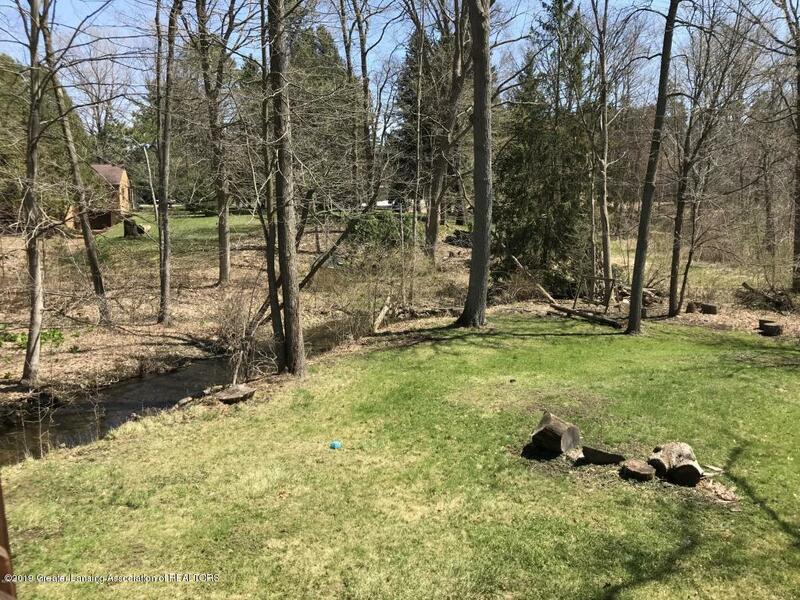 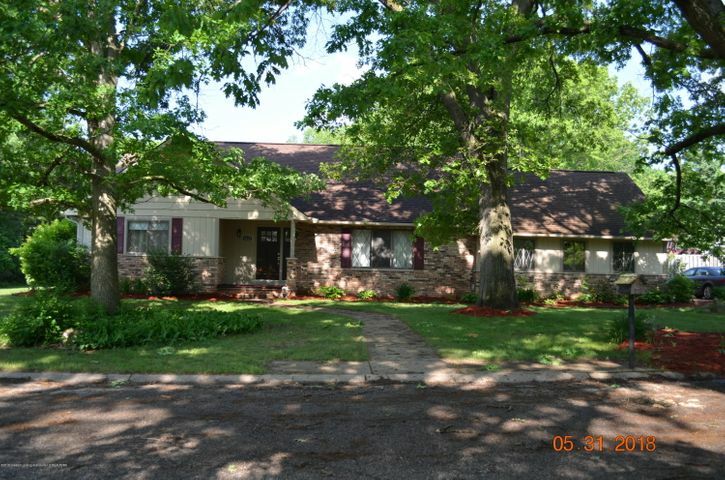 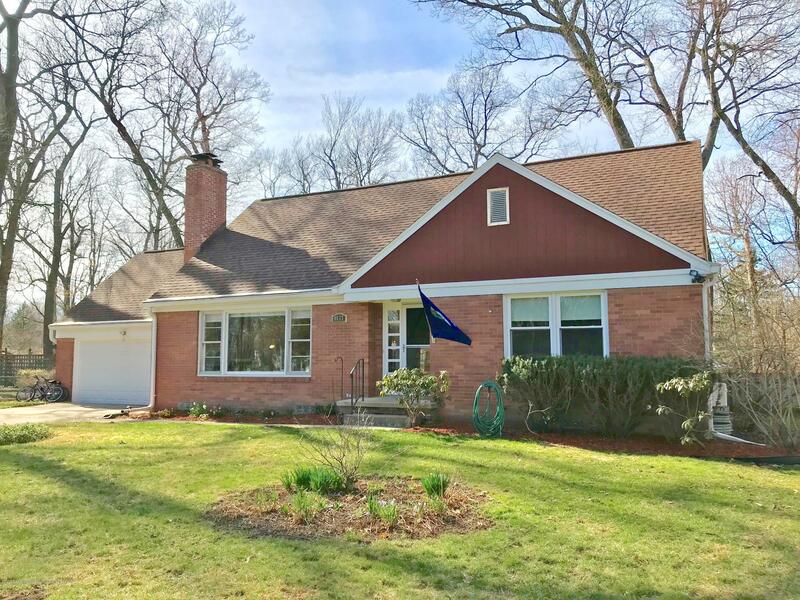 This Sprawling 1960a(tm)s aLa shaped ranch on a .82-acre lot with the red cedar river running through the back yard has four bedrooms (2 master suites), three and a half bathrooms and a walk out lower level. 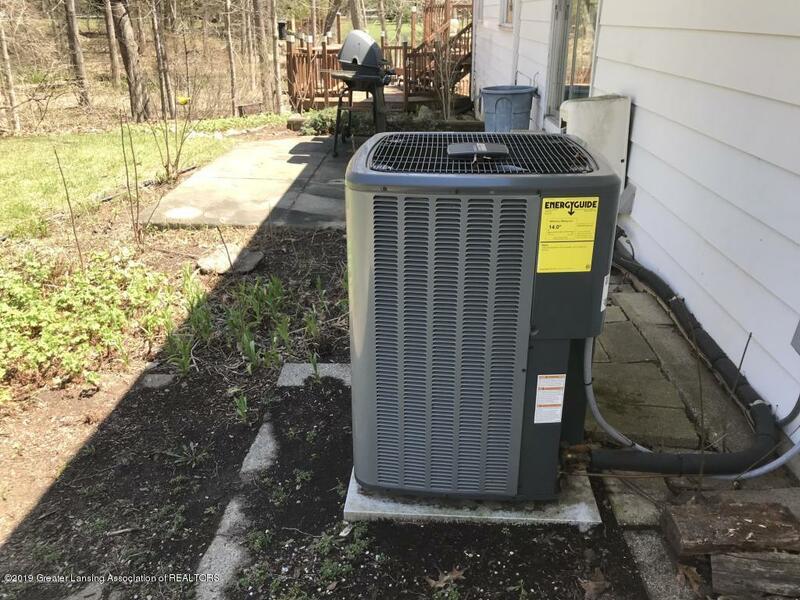 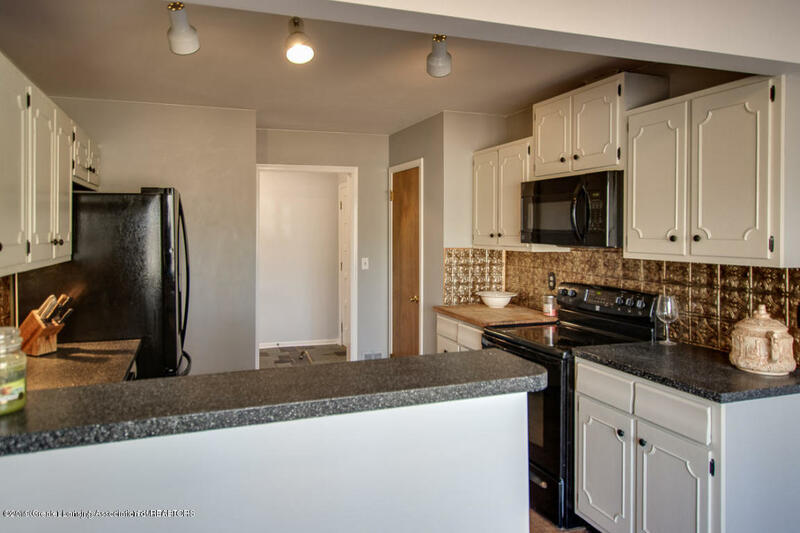 Furnace and Central Air Unit new in 2018.The kitchen with under cabinetry lighting, newer sleek black appliances and large pantry sits at the heart of the home with access right off the original slate tiled foyer or from the eat in dining area that is nested between the den and the forma l living area. 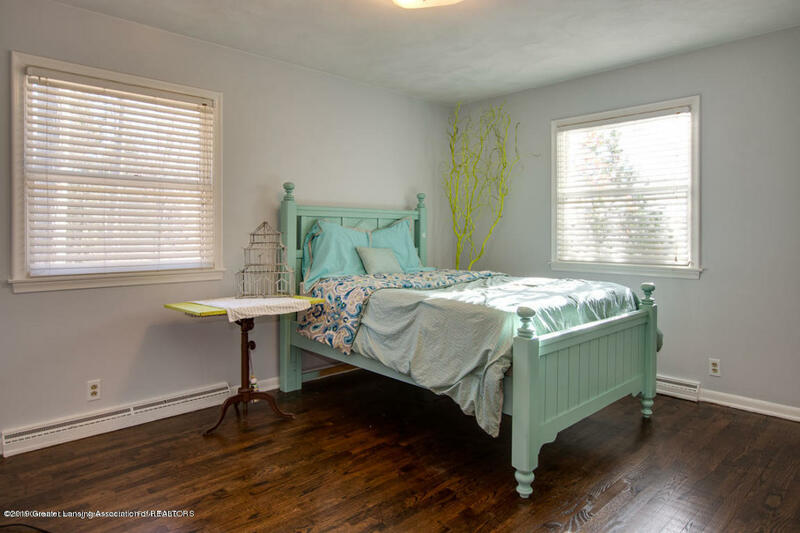 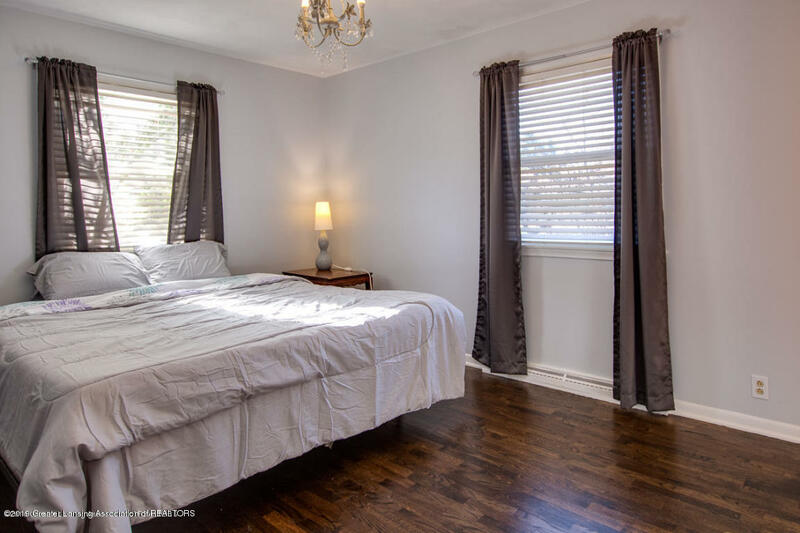 The beautiful hardwood floors from the formal living area and throughout the bedrooms on the main floor were just refinished. 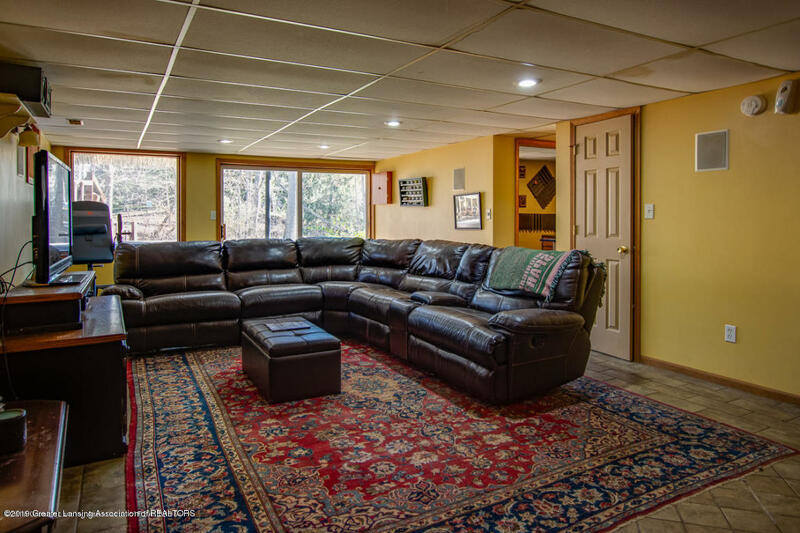 The living room with tray ceiling crown molding has a slider that leads out to the three-level deck with bar area with amazing views of the creek and wood areas of the backyard. 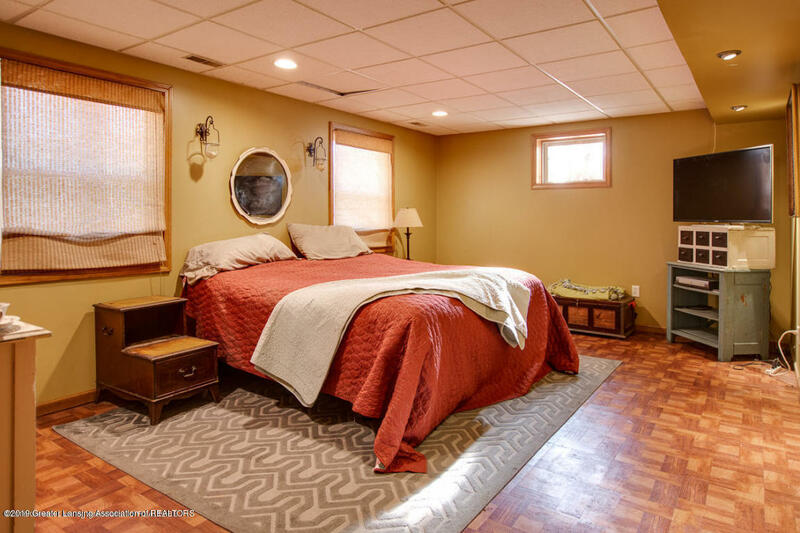 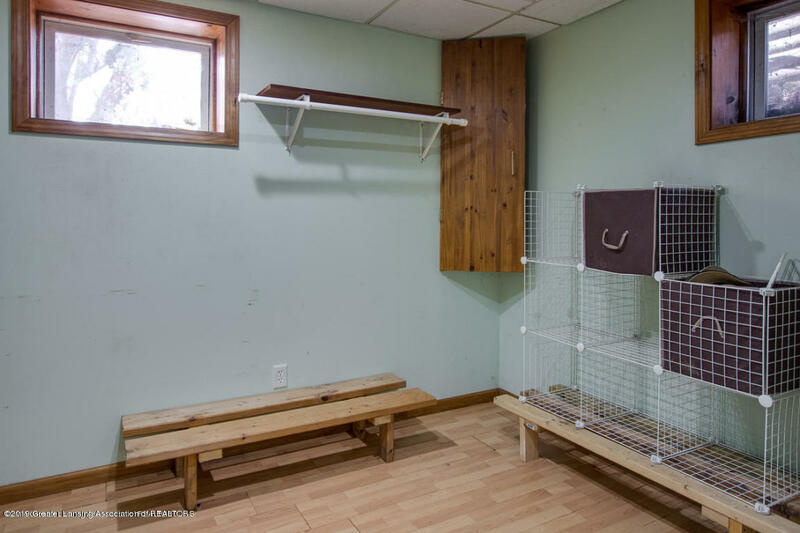 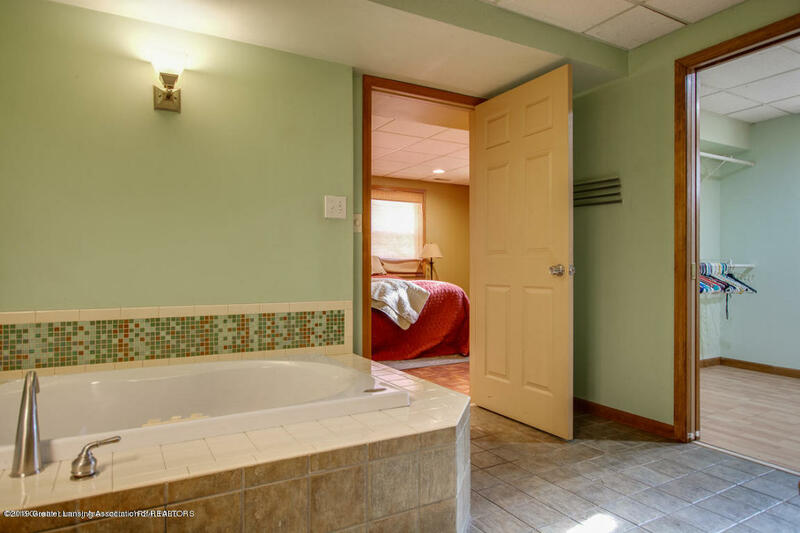 The main level master suite has his and her double closets and a built-in shelving area, and original tile bathroom with large shower - And sooo much more! 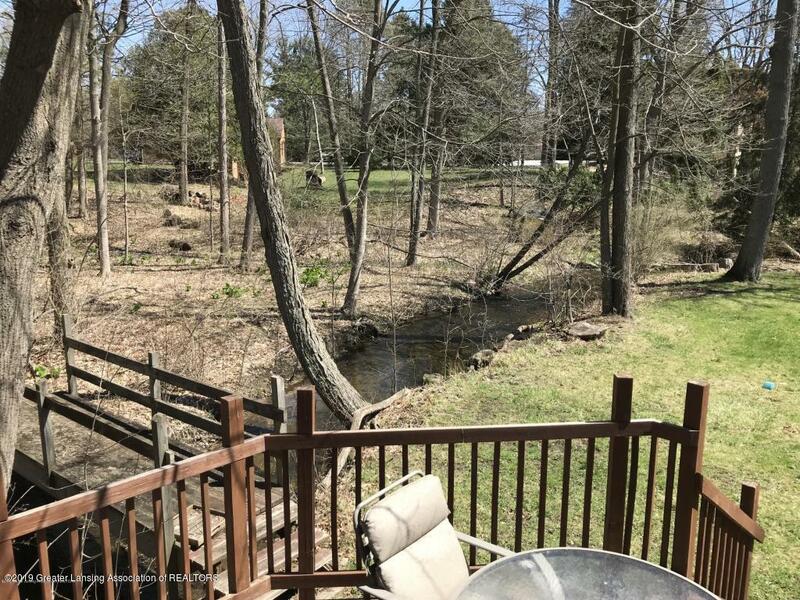 of the backyard. 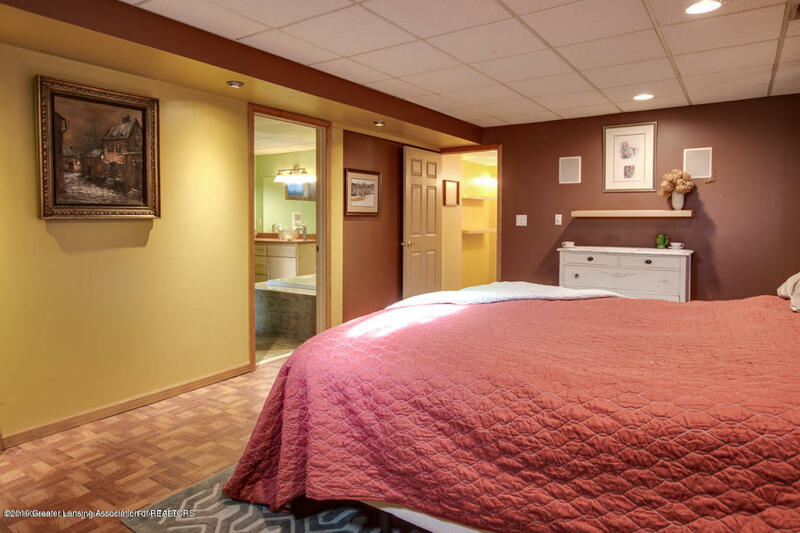 The main level master suite has his and her double closets and a built-in shelving area, and original tile bathroom with large shower. 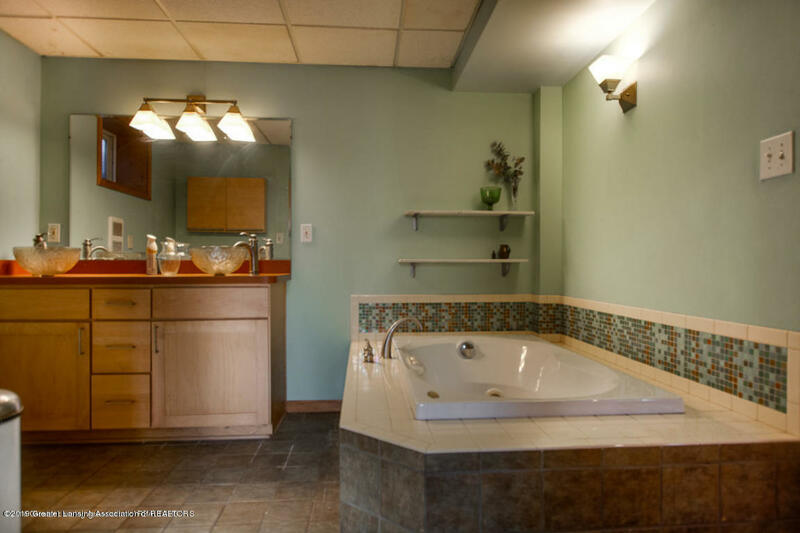 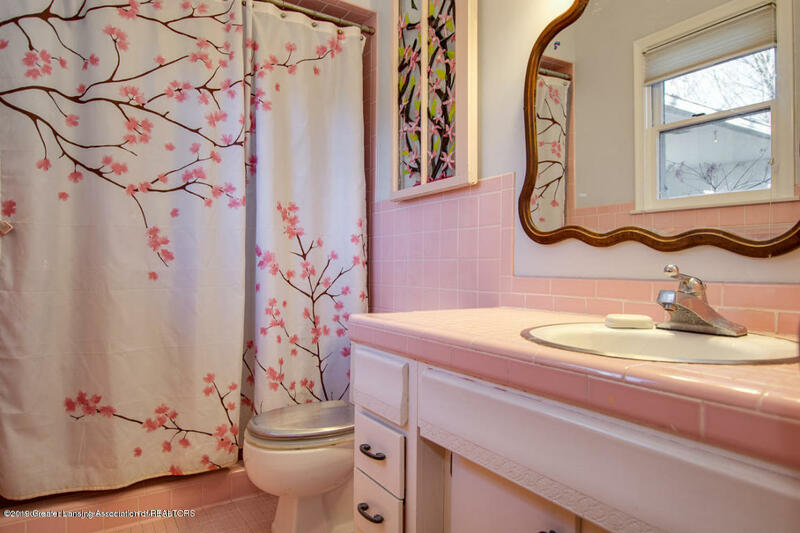 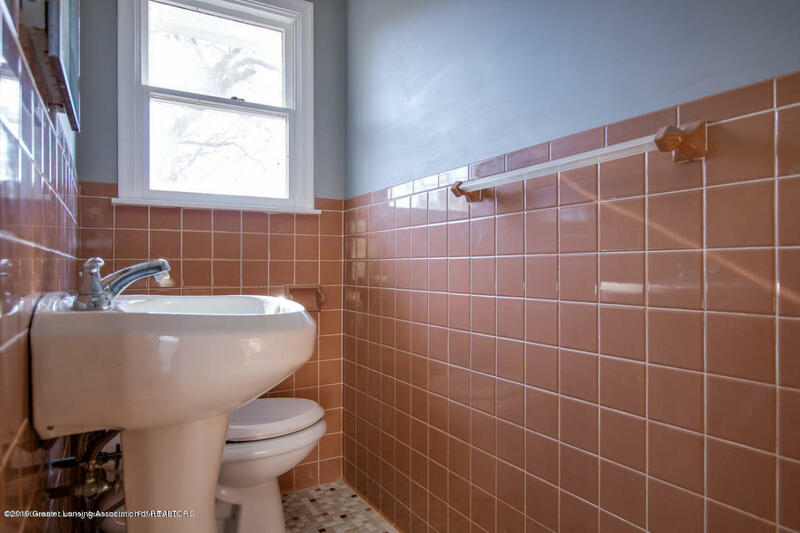 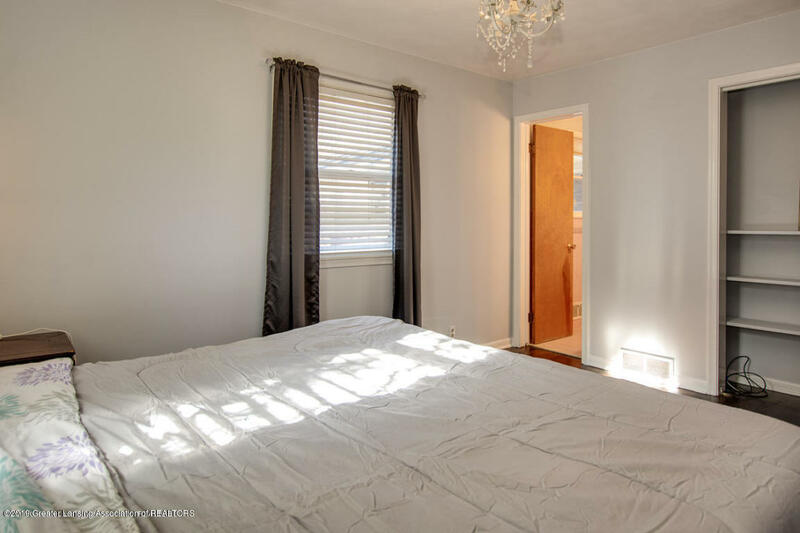 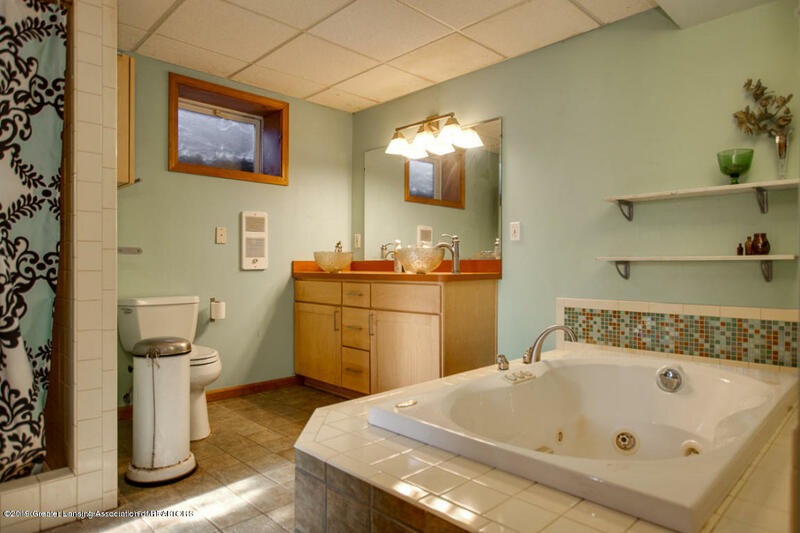 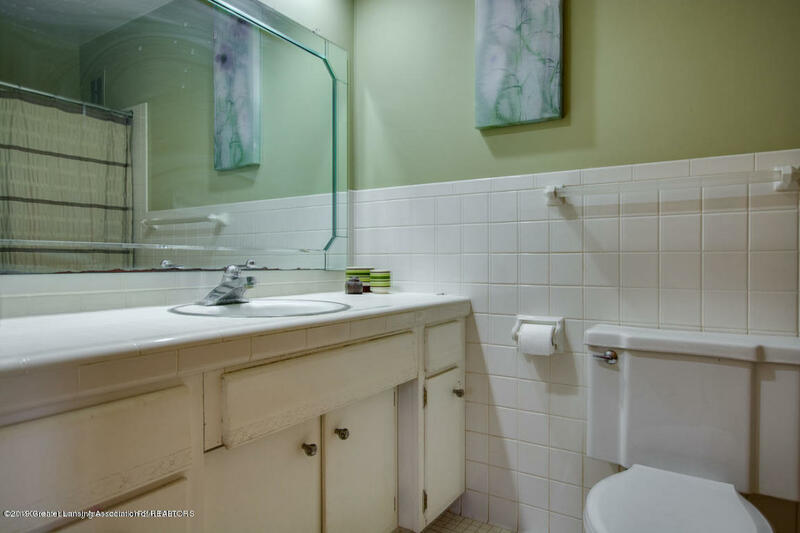 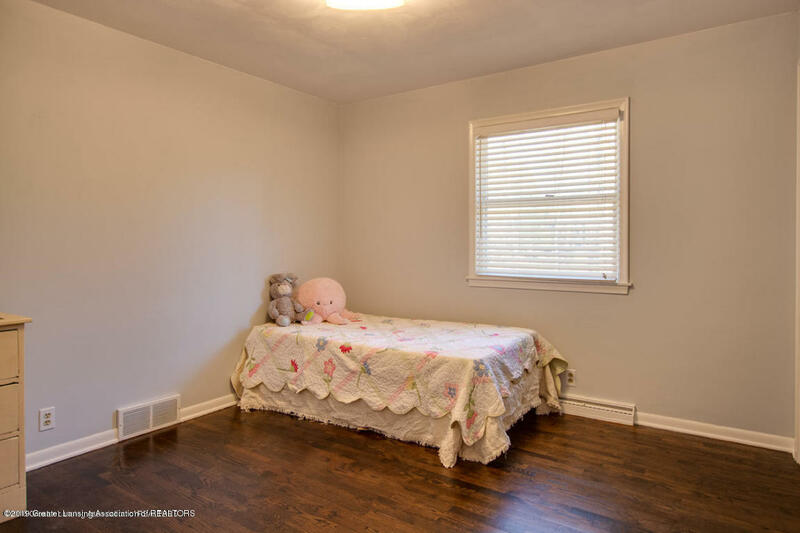 There are two more generously sized bedrooms and full bathroom with original tile and tub. 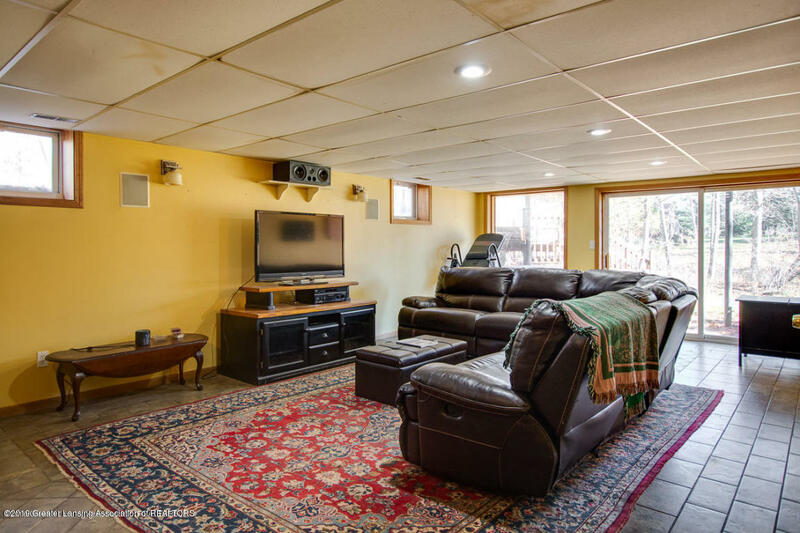 The den has wood ceiling beams and a masonry fireplace, some built in shelving and cabinet and slider to the side patio. 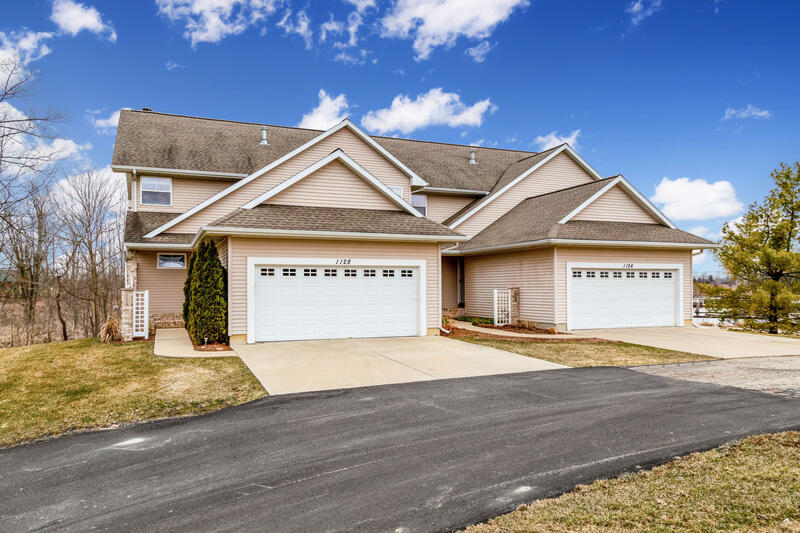 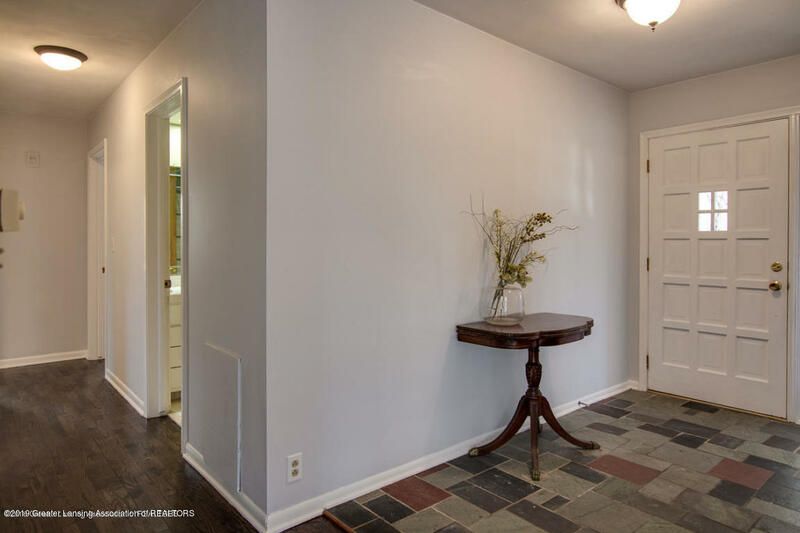 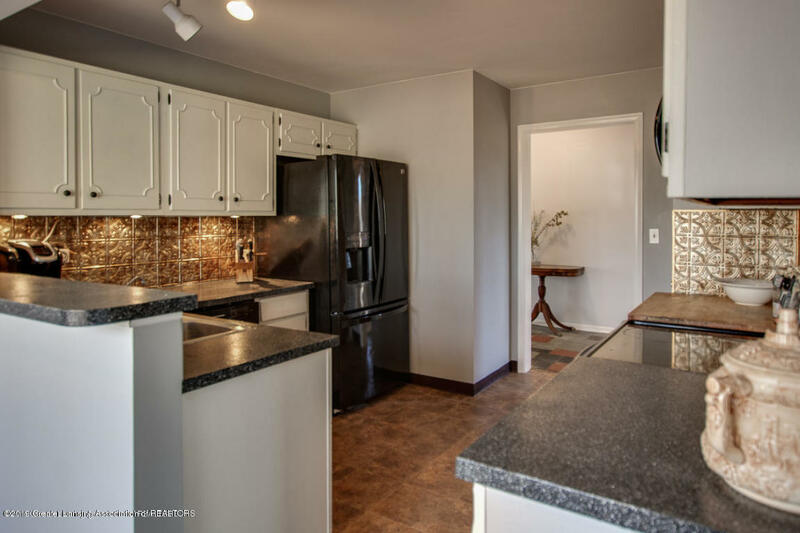 The half bath is right off the den and conveniently located right off the garage entrance and at the top of the stairs to the lower level. 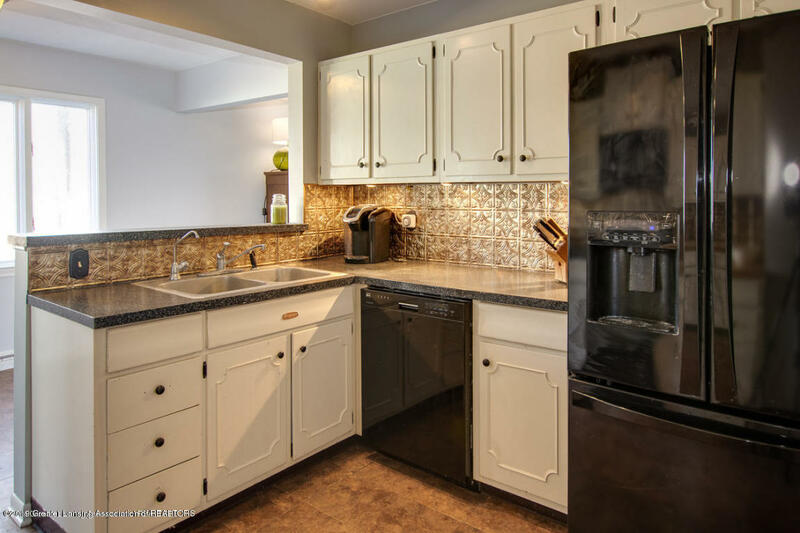 Downstairs there is a large laundry room with laundry sink, counter and cabinetry. 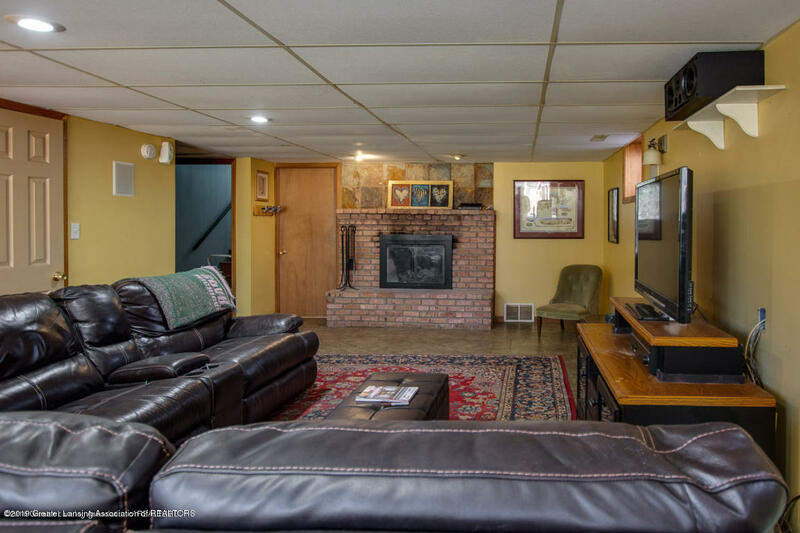 Lower level living area with second masonry fireplace, and walkout basement slider to the back yard, office and the second master suite. 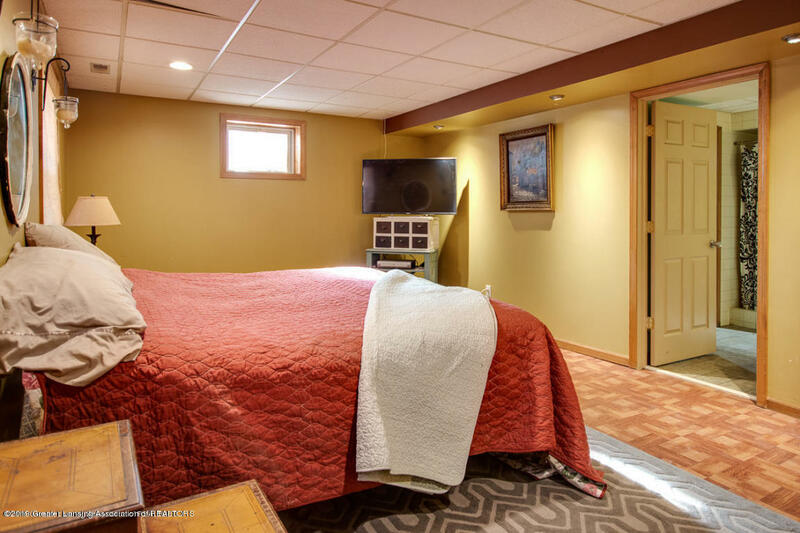 The Huge lower level master suite has a 19.6 x 12.5-bedroom area, bathroom with shower and separate jetted tub and double vanity with above counter bowl sinks and a walk-in closet that could almost be another bedroom. 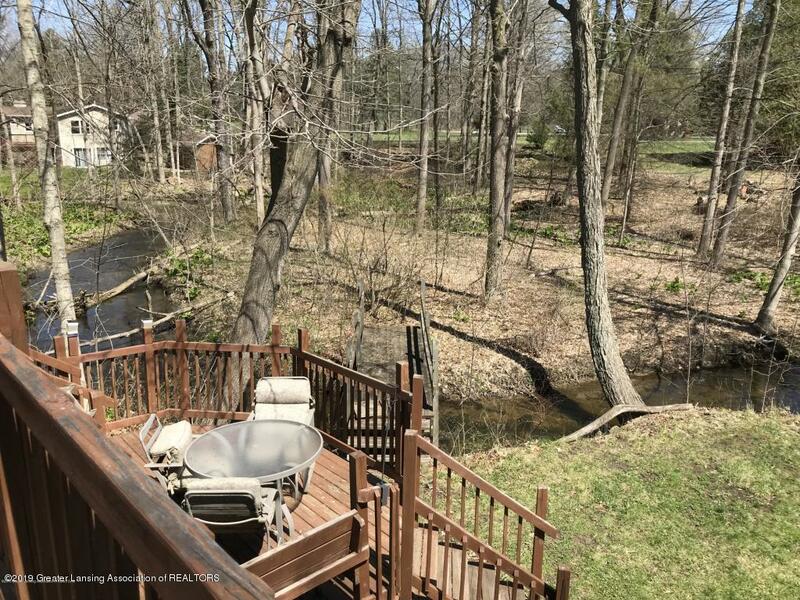 The yard is full of perennials, flowering trees and bushes, is partially wooded and with the winding creek off the red cedar river offers beautiful views year-round. 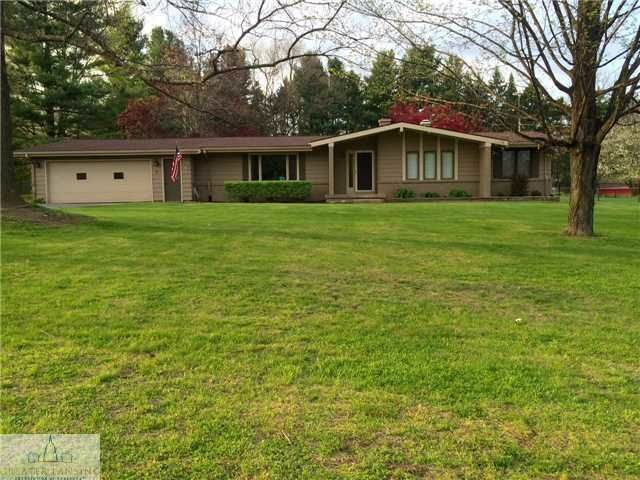 I want to see 4450 Congdon Dr!